“It is a fact that when disputation and disagreement … on any topic have once risen among a people, it is not possible, after they have taken root, for that disputation and disagreement to be entirely eradicated … the intelligent man will not be so stupid as to hope to decide a dispute of such long standing. Madrasas (I am excluding the village maktabs from this category) in Sri Lanka have a history of more than one century and they are closely linked with those in the Indian subcontinent. This is why Moosa’s observations are particularly pertinent to Sri Lankan context. Also, his comments need serious consideration because he started his education in the traditional institutions of Darul Uloom Deoband and Darul Uloom Nadwatul Ulama in Lucknow before furthering his studies in modern universities and becoming an academic. He is now a Professor of Islamic Studies at the Notre Dame University in USA. His knowledge about madrasa education is therefore not simply theoretical but mixed with practical experience. There are several others like him such as the Professor of Law, Khalid Abou El Fadl at UCLA School of Law, who is also calling for reforms in madrasa education. 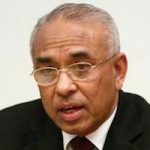 Without the madrasas Sri Lankan Muslim community would have lost not only Islam’s theological legacy but also the practical side of din, which is a way of life and not religion in Western sense. It was the madrasas that produced and are producing mosque functionaries like imams who lead prayers and deliver sermons, muazzins who call for prayer and take care of mosque maintenance, and even school teachers who teach basic Islamic catechism to primary school children. These imams, muazzins and teachers are the chief interlocutors who spread the revelatory message of Islam in the community. If mosques are the heart of the Muslim community madrasas are its arteries. However, like in the subcontinent, and for that matter in most other parts of the world, the method of instruction and subjects taught in madrasas have remained traditional and without any change to keep pace with the intellectual progress of a techno-scientific age. The madrasas are operating simply as transmitters of knowledge produced decades and even centuries ago rather than equipping their students with an intellectual armoury to confront challenges from a scientific modernity. Their preferred modality of teaching and learning has remained predominantly prescriptive and proscriptive rather than exploratory. It is repetitive and memory oriented rather than discursive and analytical. It is this method of teaching and training that creates what Muhammad Arkoun calls a mytho-historical mind as opposed to a tele-techno-scientific mind. A deeply inherent suspicion towards rational inquiry and scientific methodology with pure utilitarian approach towards modern technology has produced and calcified a metaphysical orthodoxy in which madrasa education has played a critical role. This orthodoxy is not only backward looking in outlook but also explosively reactive to heterodoxy. To deny this reality is to live in fools’ paradise. Thus, reforming and modernising madrasa education with a view to at least mellowing the orthodoxy is sine qua non. It is an imperative task facing Muslim educationists and Muslim activists in Sri Lanka. I use the term paideia from ancient Greek culture to describe the model that I have in mind. Paideia refers to a well-rounded education to the children of Greek aristocracy. The scholars that madrasas produce, the ulema (plural of alim and is not restricted to religious scholars alone), are, in the context of Sri Lanka, a spiritual elite equivalent to an aristocracy in the mundane world. Ulema have a special place and prestige among ordinary Muslims and they are the chief communicators through whom Islamic knowledge is transmitted to Muslim masses almost daily and through multiple channels. That ulema should therefore be intellectually versatile and equipped with a broader knowledge than pure theology moulded in the past, so that they can confidently involve creatively in what Shahab Ahmed calls (in a different context), “hermeneutical engagement”, with the rational, scientific and technological challenges of present times. Islam has a rich discursive epistemological tradition, which stagnated after the 12th century. It is by modernising and reforming the madrasas that we can revive that tradition and push forward. Unlike Greek paideia, which had no place for theology or spiritual disciplines but included subjects in liberal arts, science and mathematics as well as martial arts and aesthetics, paideia of madrasas should include elements of those branches of knowledge with theological studies. It is a pity that madrasas are not even training their students to handle information technology. Moosa, from whom I quoted above, cites a revealing episode from the life of the much maligned Mughal Emperor Aurangazeb who went through traditional education and studied subjects similar to the ones taught in today’s madrasas. One day, he chided one of his tutors Mullah Salih for not teaching him what was necessary for a ruler. What is needed is a madrasa education grounded in the revelatory message of Islam but incorporates into its curriculum other branches of epistemology so that future generations of ulema who come out of it will be a class of enlightened teachers, preachers and community leaders behind whom all Muslims irrespective of inter-generational and inter-gender gaps would rally for guidance. Yet, reforming madrasa education is not easy. There will be resistance from the conservatives and vested interests who may fear that their traditional fortresses would crumble in the face of changes. Radical changes will have no prospect of acceptance. Therefore, to make reforms more malleable, they can be introduced incrementally to allow the guardians of orthodoxy sufficient time to digest the impact of each dose before injecting the other. Irrespective of how one may implement this, without serious modernisation and reforms to bring about a new paideia the madrasas in operation now would remain largely disconnected to a fast changing techno-scientific world. Will Muslim leadership in the country including ACJU wake up and act? Now; we pay for that ..
All I see is, you yet not sure of your specialization. You just pick any topic that would entertain the readership and write on it. You got to specialize on a subject and write on it and attract the reasdership. to concede to this welcome change. Until then Madrasas will remain traditional and without any change to keep pace with the intellectual progress of a techno-scientific age. When the world and other religions are changing the moving fast Islam has remained static, as Dr. Ali adds, since the 12th century. Take that example in Pakistan that has made that country and Islam a laughing stock of the world when extremist Islamic Mullahs there not only disallow Polio vaccine to be administered to infants but have also killed and harmed volunteers of that country daring to save these little ones from a deadly disease. The Mullahs insist they are doing in the name of Islam. “It is always a satisfying experience to read Dr. Amir Ali”. If that satisfies you, you should continue to read his writings. My concern is not about what happened in Kattankudy, or Pakistan, or Wahabi-Salafi extremists, or Mullahs, or what is happening inside a Islamic Madarasa. If Jack of all trades is a master for you, please enjoy it. For me, these half-baked beans are no healthy – They tend to spread lies for popularity seeking. Uditha Devapriya, Malinda Seneviratne, Udaya Ganapathipilla, HLD M, SJ, sach, Champa, JD, Dayan, ………………………… don’t seem to bother you although they believe they are not only Jack of all trades but think many read their typing and benefit from them. Sarath de Alwis, Dr. Dayan Jayatilake among many others – write intelligently and elegantly where the entire readership benefits. They write on a variety of topical subjects of the day. One does not agree with all they write but reading them is satisfying to any rational mind. Yet, its still a free society and you are entitled to your view – warped or not. What has Madarasas got to do with Pakistan Mullahs and Polio vaccination disallow story? Though we laughed at what they did, there has to be a reason behind that for them to do so, and unfortunately we live in a world where we only have access to one-sided story. History has examples, American missionaries came to Jaffna for medical aid and improving secondary education in early 18’s. But their target was to convert as many Tamils as possible and they even ridiculed the local religion, culture and other rituals in achieving their targets – So Mullahs might have sensed something similar in Polio vaccination history too. Our local recent sample, “Wannde Pethi” in chicken gravy. While many ridiculed the story just how you ridiculed Mullahs and Polio vaccination in Pakistan, there were also people who accepted it to an extent it involved sending samples to laboratories for testing? The writer doesn’t give clear idea of a Madarasa in SL context or in general, and ask for reforms. Neither you have any idea of a Madarasa and started linking Madarasas to Mullahs. It is like blaming “Daham Pasala” for Wande Pethi story. Don’t be silly brother! You ask “Ehat has Madrashs got to do with Pakistani Mullahs and Polio Vaccinayin story”? What they have in common is the Quran, Hadith, and their interpretation, that has been going on for quite sometime, on the Revaltion vs Debate, Are the Mullahs and Orthodoxy , knowledgeable to correctly understand and interpret the Quran. Read Quran 3:7. No , according to Ibn Rushd. Only philosophers, lowers of wisdom are. So for the Orthodoxy , the earth is spread out like a carpet, the Sun sets in muddy waters, The demonstrated and proven theory of evolution is false. Do you know who Dhul Karnain is? That is why the Mullahs oppose vaccination. They can’t reason. Dr. Ameer Ali may not be an expert, but he has sufficient knowledge and references to make his own interpretations. No body else is writing. The Ulama are clueless. All they know is the Quran, Hadith and the Earth spread out like a carpet, and revelation is above reason, irrespective of data to the contrary. Even those who specialize in the subject, can be wrong. Read about Aristotle, Ptolemy and the geocentric model of the planetary system. Amila you made a very salient point. ONLY experts can speak on their specific subject. Sorry but this dumb knucklehead Amarasiri, has a closed agenda in mind, a veritable frog in the well, and he feels that everyone who skims a subject can talk with Authority! He does. All he knows is IQ and DNA data and which he thinks he knows, about all the religions.. The Ulama are clueless. All they know is the Quran, Hadith and the Earth spread out like a carpet, and revelation is above reason, “ irrespective of data to the contrary. Surely Dr.Kozai could not have skipped Amarasiri’s discovery in the Quran, that the Earth was flat, and the Sun orbited the Earth. One can only imagine in that case where half baked Mr Amarasiri,will be located in the pit of ignorance. Jamal follows Wahhabi-Salafism of Saudi Arabia, that is also followed by ISIS, al-Queda , Taliban and other Islamists, who are NOT Muslims, based on their Satanic Theology. Please see reply comments Part 1 and Part 2 to Jamal on this thread. Jamal;s point is that the Ulama are experts, and know Islam. However, according to Ibn Rushd, they are not experts, only philosophers. This was just one example. There are many other examples where the experts were wrong., Tyco Brahe was wrong too., corrected by Copernicus, Galileo and Kepler. Even “expert” Issac Newton was wrong too about the wave properties of light, as demonstrated by Thomas Young and Fresnel. So, ideas and beliefs must stand on their own merits. Regarding Wahhabi-Salafies, they cannot think and reason. The best supporting data is provided by the GMAT scores of the Wahhabi-Salafi Graduates from Saudi Arabia who took the GMAT tests. They scored lowest (330) in the world, despite their native intelligence from evolution being higher than many other countries. The Graduates from Sufi Turkey(540) and Shia Iran (520) show that Sufi Islam and Shia Islam do not degrade the critical thinking abilities of Muslims. This is another circumstantial evidence the Wahhab-Salsafism is NOT Islam, but Satanism, because The God Allah does not favor those who follow Satan. What you say here is 100% correct Amila W. This writer has no special knowledge on any subject but just write like an idiot. Anybody having special knowledge on anything will stick to it only but I see this fool writing on everything. Anybody who is good in English and writing can write on any subject from the knowledge he gain from media and publications but they have no special knowledge on that subject. This idiot talk about changes to madrasa teaching but how can they change or bring new teachings. Islam is same from the beginning and if we change anything in that then it is not Islam. If we take a subject like biology it always changes with new discoveries etc so a biology book of 17th century and present there will be so much changes. So any religion has to be original otherwise it won’t be a religion. So I advice Ameer Ali to stop writing articles for media if you do not know what you are writing. Dr. Ameer Ali is giving references. Dr. Ameer Ali is pointing out that the Madrassas need to expose the students to knowledge beyond the illusions. Assalamu Alaikum. Wahhabi-Salafi. Peace be upon you even though you follow Satan per Hadith of Najd. Are you still subject to the Illusions of Wahhabi-Salafism, which many Ulama and Madrassa teachers are subjected to because of the influence of Wahhabi Petrodollars? -a thing that is or is likely to be wrongly perceived or interpreted by the senses. Wahhab”s brother Suleiman and the Wahhabis killed him. The people said, “O Messenger of Allaah, and our Najd.” I think the third time the Prophet, sallallaahu alayhi wa sallam, said, “There (in Najd) will occur earthquakes, trials and tribulations, and from there appears the Horn of Satan. Ralli Ameen, the Islamic extremist, you are the one who writes like an idiot. You are unable to stomach the truth about true face of Islam and its adherents. Naturally you are an idiot because you believe in a religion that still maintains that earth is flat. Did you hear that Chinese have landed on the back side of original Allah of Arabs. Al-faqurlah brother, on the other hand, whether it is in Sinhalese , Tamil or Chinese, the subject is too heavy for someone at your IQ to grasp. Why NOT do something productive instead? For your info, near Colombo Gen. Hospital, there are people looking for care-takers for their elderly parents getting treatments in the hospital. Thanks for your write up on New Paideia for Madrasas. This is an uphill battle . Why? 1. The Madrassa syllabus is Quran and Hadith, very little else. No science, philosophy or mathematics, not even geography. The students memorize the Quran, and those who fully memorize the Quran, are given the esteemed titles of Hafiz. A mobile phone can download the Quran, and its translations along with the Hadith of Bukari and Muslim, in a few minutes, all thanks to inventions of the Kuffar, who elevated Reason above Revelation, which the Ulama, Mullahs and Muslims, who have elevated Revelation above Reason, now enjoy. The bottom line of madrasa education is to maintain the status quo of the hegemony of the Ulama, art the expenses of the Muslim masses, quoting the Quran and Hadith. Thinkers and philosophers are abhorred. Just like the Europeans shed the Catholic Church and embraced enlightenment and Age of Reason, the Madrassas and the Muslims will stagnate in the middle ages. See how the Ulama with the help of the rulers treated philosophies and thinkers. Whilst admitting that I have no knowledge of the workings of the local madrasas , I know that in many parts of the world they are viewed as breeding grounds for fanaticism and extremism . Should there be a mechanism to monitor madrasas in SL too ? Not just a Madarasa, any institution that is created for the sole purpose of educating people only on one particular religion is dangerous. One with just the knowledge of single subject, lack of exposure to the real world, deprived of balanced thinking can easily become an extremist – No exceptions to this. Your articles and quotes from other academics don’t provide valid evidence that local madrasa are linked to “extremism”. Your article does not shed any examples on how local madrasa’s have lead Muslim youth to become separatist. In a post 9/11 world, the West wanted to create something out of nothing like a non-existant rabbit hole, and conveniently blame the seminal madrasa (religious schooling system) concept to be the link between militarism or militant behaviour. I am sure there are madrasas elsewhere in the world that do create fanatics that commit murder. If so, they need to be monitored, shut down and those who fud and sponsor them to be eradicated. However, I don’t buy this nexus between madrasas and extremism. Many Western countries that pursue the new age gangster capitalism and imperialism are the ones that are at war with just about any other faith or nation that oppose their hegemony. These are the very countries that blacklist and paint madrasa’s as being the fault line for extremism. This is a Western ploy and blown out of proportion to drive their war mongering, right-wing, Evangelical, Islamophobic and xenophobic agendas. There were many economic think tanks and institutions performing defense studies around the Capital Beltway in cahoots with Washington DC lobbying forms that came to ill-advised the US government. These organizations promoted this falsehood and stirred an already disgraced foreign policy (US) to profit from federal government aid, handouts and national defense funding from grants by propagating this nonsense claiming as if the madrasas was the baseline cause of brainwashing youth and driving them towards extremism or Jihadist activities. There is no proof or link even in unclassified defense briefs to link the two. Unfortunately, a few academics like you Dr. Ali are misled. Problem is, many people write to CT don’t have clear idea on what is happening in SL. They heavily depend on online news sources before writing their articles. Having settled in the developed world for years, some of them even underestimate people living in SL and think those people will buy anything they say since they have the latest and better knowledge on anything. And some typical selfish people, think of reforming the community only after they have lived their lives for themselves and their families. I wouldn’t want to name, there are another 2 or 3 aged professors probably falling in the above said category, who write utter racism on CT.
Well said and absolutely right you are. Wrong Forum to write about Islam and particularly about reforming Madrasahs in Sri Lanka or anywhere else. There must be some Madrasahs or their equivalent in Australia to teach Muslim children about Islam. You should be REALLY trying to implement your ideas in those Madrasahs which are next door to you, if you are serious about reforming Madrasahs. Otherwise, you are Wasting valuable time and yours will be a mere voice in the wilderness. I hope you will take my well intended suggestion seriously, and STOP writing to CT about Islam and related matters. If you are really serious about making some contribution to Islam, look around in your neighbourhood and I am sure you will find enough to do. It was actually discovery by the 7th Century Arabs, even though the Greeks knew in 300 BC. Eratosthenes calculated the Earth’s circumference without leaving Egypt. The simple one word answer is “Yes”, the Quran does indeed promote a flat-earth view. There are many verses. That is why Reason should be above Revelation for reform of Quran and Islam. The word is spread out like a carpet, the 7th century world view of Arabia., See part . What did the greatest Islamic Scholar, Jurist and Philosopher, Mohamed Ibn Rushd had to say in the 12th Century? Ghazali, Asharites and The Mutzilites in earlier centuries? “And no one will be reminded except those of understanding.” They are the Philosophers, not Ulama per Ibn Rushd. For the Mutazilites, the principle of the Trinity is contrary to God’s transcendentalism that stresses nothing similar or identical with God either in His essence or His attributes. The Mutazilites deny that the Koran is eternal and the speech of God. For them, the Koran was created by God like other created creatures. Wahhabism-Salafism, is the root cause of Islamo-fascism, followed by the Islamists, Al-Queda, ISIS, Taliban, Muslim Brotherhood etc., all influenced by Satan. No wonder the Quran mentions Satan 11 times, Mohamed 4 times, and Ahmed once. There is a difference between Islam and Islamo-Facism. This is not a debate between some Muslim and Neil Tyson. But this video shows the thinking of some very well educated 21’st century Muslim (I don’t know he is ignorant, stupid or dishonest. But he is one for sure) and Neil Tyson speaking in a lecture about how Muslims intellectual power ruined by an ideology, when Revelation is promoted above Reason and observation, uncritically, based on belief only.